“Sharing is caring, unless it is an STD” – This quote summarizes the entire phenomena of how sexually transmitted diseases have propagated into the society and in our everyday lives. However, this does not mean that being infected with an STD is a sin. In fact, contracting an STD is the beginning of a new phase in life, which is filled with new challenges. Wouldn’t you need a companion to support you along this unfamiliar path? Positive Singles is a dating service that aims to bring together all those who have been infected with an STD to a common stage. Since the last 13 years, this site has been committed to creating a friendly and non-judgmental environment so that people with STDs can find support. Positive Singles came into existence with a motive of encouraging people having an STD to find a companion, with whom they can share their joys and sorrows. 13 years down the line, this site has become a segment leader and boasts of several innovative features, besides having a humongous membership base. The site also has an intuitive user – interface, which adds to the convenience of those seeking a date. Well, you can kick – start your dating journey by creating a free profile on this site. Free membership not only allows you to create a comprehensive profile but gives you certain privileges of communicating with other users. For instance, standard users can exchange pre – written messages, known as ‘flirts’ to break the ice and grab attention of the other user. Apart from this, you can send e – greetings and also respond to emails and instant messages that you’ve received from the premium user. 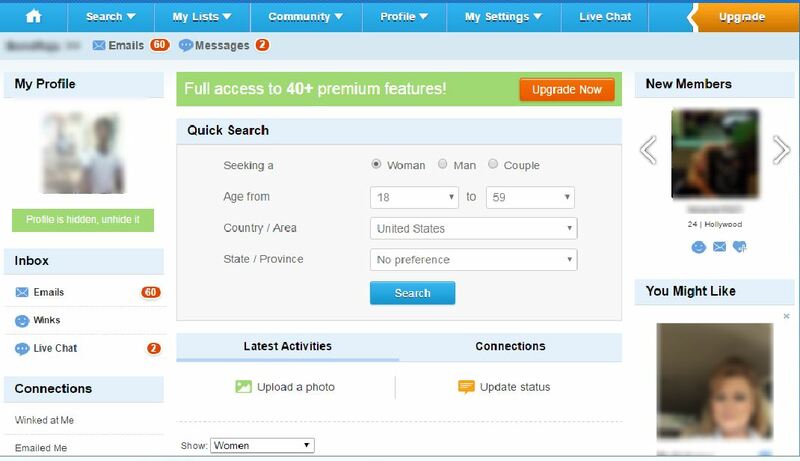 With this free membership, you’d also be able to utilize the basic search option to find a compatible partner. If you wish to seek some attention, there could be nothing better than adding a few pictures. Fortunately, Positive Singles allows users to add up to 26 pictures. As with most sites belonging to this segment, PositiveSingles.com too allows users to sign up for premium membership, also known as Gold membership. While monthly membership costs about $29.95, the rates go all the way to $95.95 for a semi – annual subscription. Gold membership on this site imparts users with the ability to initiate an email conversation or send an instant message. It also gives access to host of privacy and profile – related settings that can be tweaked to enhance the user experience. The advance search options are accessible upon upgrading. Regardless of the membership you opt for, users have unrestricted access to inspirational stories, STD treatment stories and thousands of dating tips exclusive to those having an STD such as herpes, HIV / AIDS, HPV and HCV. Users can also get information on STD care location in the neighborhood, thereby enabling them to follow the right approach to STD treatment. An extensive FAQ section and round the clock customer support ensure that users have no issues while accessing the many features available on this STD dating portal. The sheer strength of the website’s membership base shows that finding a compatible STD partner wouldn’t be an uphill task. While the free membership is good enough for beginners, upgrading to gold membership would certainly give you an edge. Furthermore, considering the kind of features offered on this site, the premium pricing is undoubtedly justified. All in all, if you are looking for an seamless online dating experience that is exclusive to people with STD, Positive Singles is where you should begin.